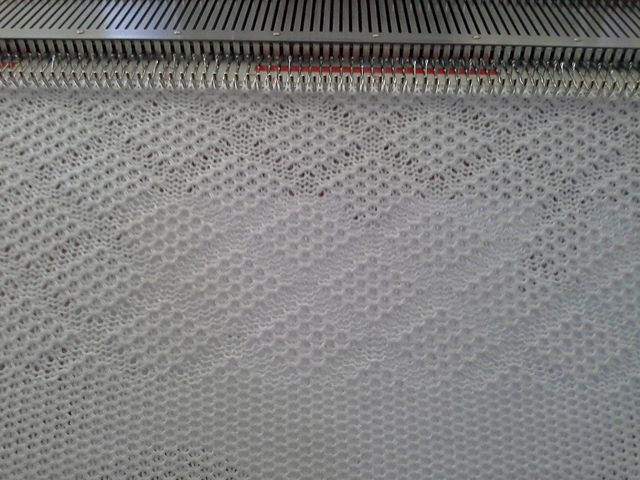 Ozlorna's Knitting Blog: Tuck Stitch Baby Blanket with cards from HGMKS Ch III 28, 39 & 43. 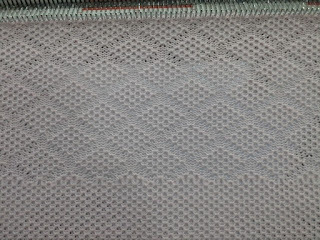 I've punched out some new cards from The Harmony Guide to Machine Stitches (1988-1990) Chapter III to use in blankets.As far as I can determine, the book will be covered by copyright until 2060, 70 years after the last publication. Or from the author, and I had no luck finding other than Barbara Devaney is the compiler of the publication. There seems to be enough second hand books around to buy a copy. 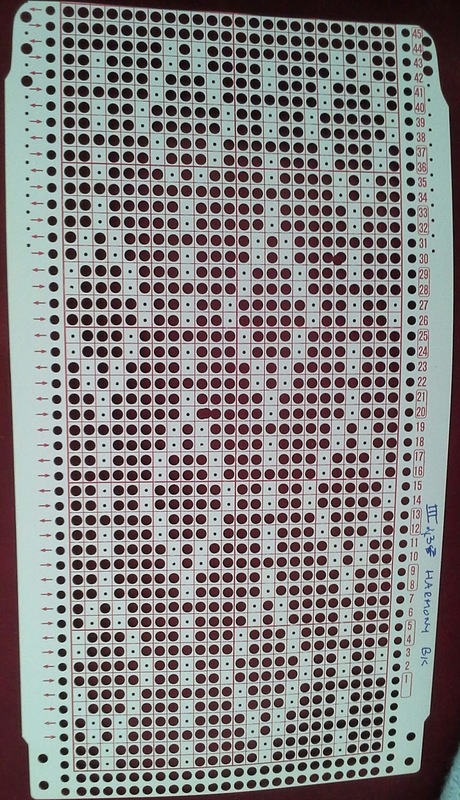 I have used a lot of patterns from it. 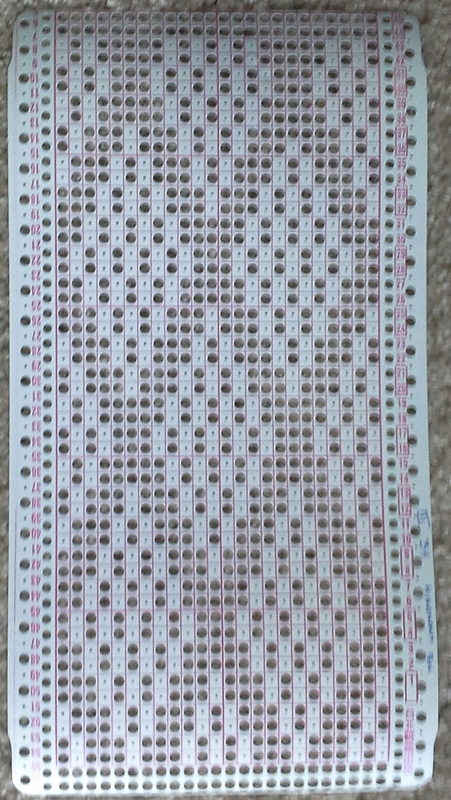 So for this exercise, I'll put the card I've punched, the number in the chapter, the Left and Right needle position and approx rows and the mini card I started and ended with. The book is there to use the patterns there is no written restriction for any use of the patterns, so I'm happy that I make the blankets and they get sold at Hospital gift shops. Nowhere says we can't sell the finished goods. Now onto the biz of making Two hour baby blankets from Chapter III. 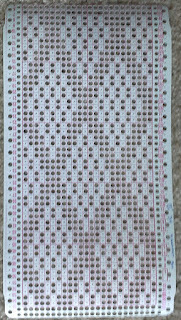 Out of a leftover scrap, I punched a 24 row card 1, which I snap on after lining it up so the tucks flow into the main card for any pattern with 1x1 changing every row, Card 1. 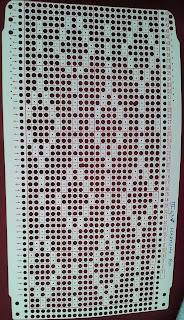 And a 30 row one for the 1x1 changing every 2 rows, whichever worked out with the pattern. 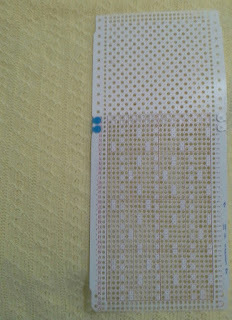 Match the tucks in the pattern to the mini card and snap into position on the tuck card. Knit around until the snapped on section is in a good spot to take of and join the rotating card. When the row counter is somewhere between 500 to 550 ish, separate the card again, line up the mini card making sure the tucks flow, then when it's though the machine. 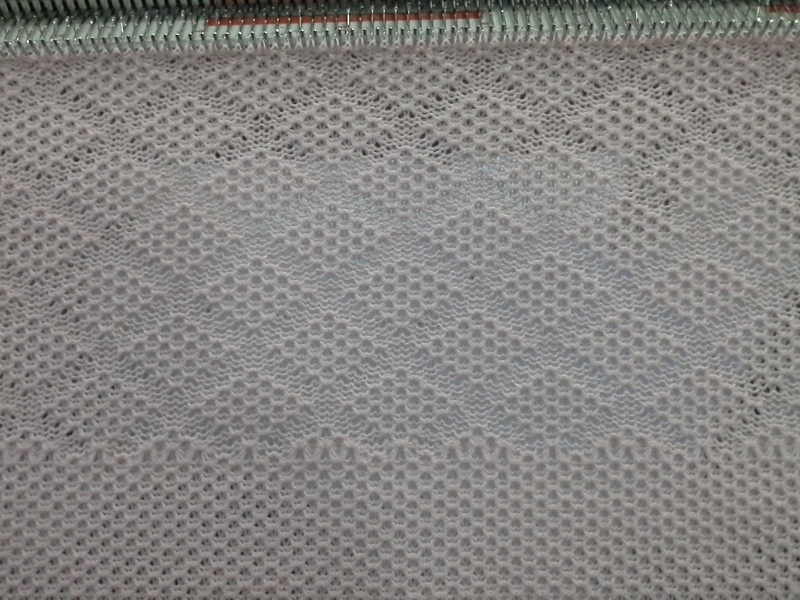 knit two plain stst rows. 2 ends Cashmillon acrylic 2/28 in various colours just under 200g total, 100g each cone.. 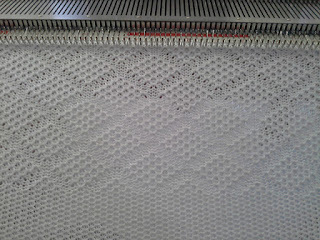 Between 550 and 580ish rows before clipping on the mini card to finish the blanket. 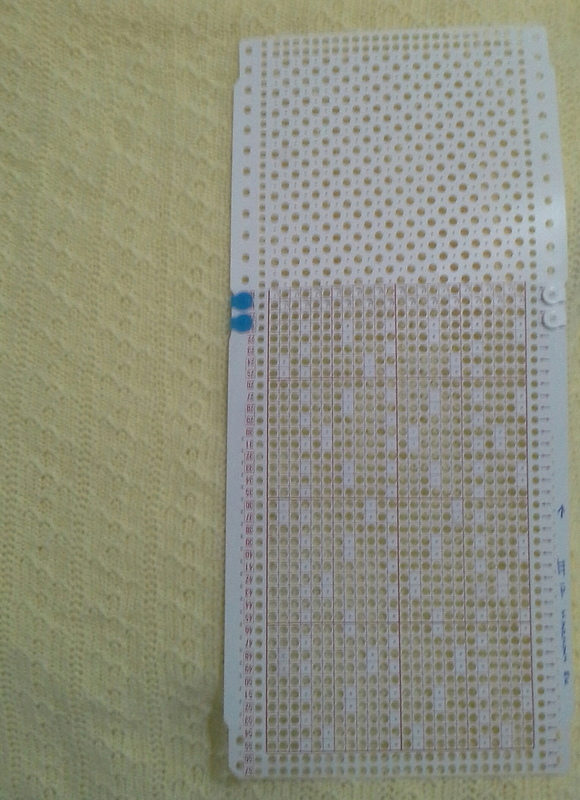 Load the mini starter card clipped to the punchcard lined up only, leave the ends free and get knitting. Hi Lorna - Looked for an email link and did not find one. Where do you get the Cashmillon? Gee Tom, where can't you buy it in Australia.. It's everywhere. I think you are in the UK? No the US. I'll see if I can find out who imports there.